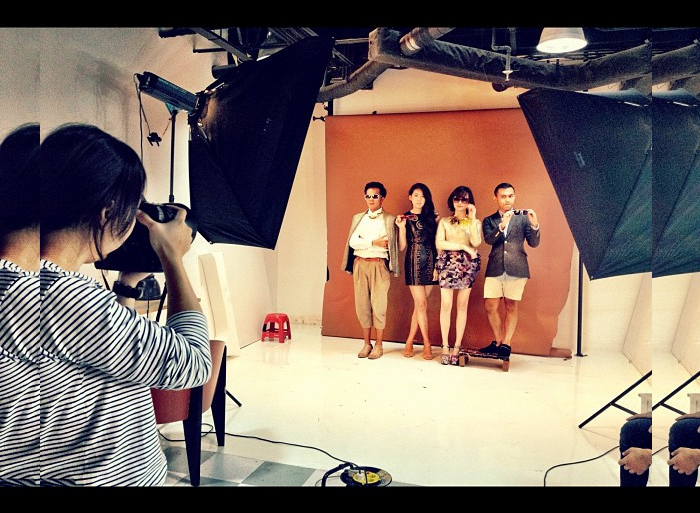 We will be on Amica Indonesia Anniversary Issue, so don't forget to get a copy on September 2012, I decided to looks only with basic shirt, basic jacket and basic shorts - we'll see, hope the results are good and all readers happy to see us act like super super blogger. Where is my Jeffrey Campbell??? nice photoshoot you guys rock!